Your family pet is our number one priority at Hirsch Animal Hospital. 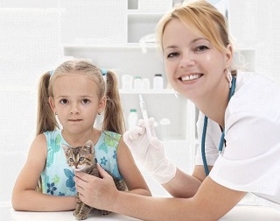 We provide high quality veterinarian services to cats, dogs, hamsters, and all of your furry family members. 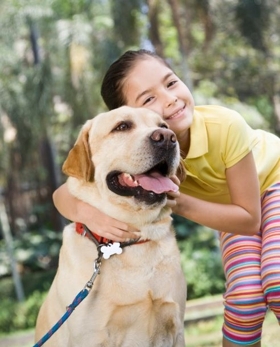 Since 1980 we have provided routine pet check-ups, medical treatments, and dental care. We value our friendly animals, so we use up-to-date medicine and nly the latest methods and state-of-the-art equipment. Along with Dr. Cary Hirsch, D.V.M. and Dr. Robin Chambers D.V.M, Hirsch Animal Hospital consists of a dedicated staff who love to help pets and families share a long and healthy life together with quality pet healthcare. The Hirsch Animal Hospital staff is well trained, professional and caring towards you and your pet's needs. Combined with advanced medicine, quality veterinarians, and world-class care Hirsch Animal Hospital will always give your family pet the care it needs. At Hirsch Animal Hospital we give your pet the love and care your family gives every day. Your pet's health and wellness are important to our professional staff. At Hirsch Animal Hospital, we have a reputation of compassion and successful care. Our patients receive personalized attention and top-quality medicine and homeopathic treatments. Call (904) 373-6365 to schedule an appointment today. Call Us Now To Plan Your Pet's Care Today! Copyright © 2018 hirschanimalhospital.net All rights reserved.